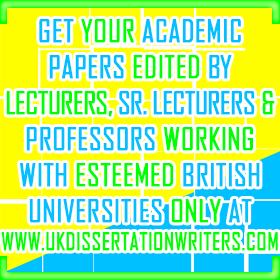 Please write to us at info@ukdissertationwriters.com with your requirements, and we shall get back to you within 24 hours. Alternatively, you could fill out the ‘Enquiry Form’ given on this page. Note: Please add info@ukdissertationwriters.com to the address book of your email account in order to avoid any important message from ‘UK Dissertation Writers’ going into spam folder.